This one day and a half conference combines a symposium and a workshop. The aim is to examine and contextualise the artistic and cultural production of the geopolitical centres that were controlled by or in contact with the late Byzantine Empire. This conference will explore the many intellectual implications that are encoded in the innovative artistic production of the Palaiologan Era often simplified by a rigid understanding of what is Byzantine and what is not. Ivana Jevtic: Late Byzantine Painting Reconsidered: Art in Decline or Art in the Age of Decline? 9.00-9.50 Opening keynote lecture and discussion: Dr Angeliki Lymberopoulou, Open University, Palaiologan art from regional Crete: artistic decline or social progress? 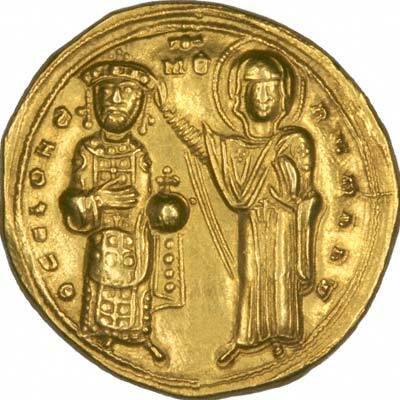 This entry was posted in Conference and tagged Birmingham, Byzantine Empire, Byzantine Studies, Conference, Symposium, Workshop on December 24, 2016 by maggiecrosland. Salary: £37,756-£50,698 (Grade 8), although in exceptional cases appointments may be made at a higher grade. Over the past three years we have recruited some of the most exceptional early-career researchers. This year the programme is being expanded to recruit a number of outstanding university teachers, offering a unique route into a challenging academic career for individuals with the ambition and capability to influence and shape the teaching strategies of tomorrow. We are looking for ten outstanding scholars across a range of disciplines who can demonstrate teaching excellence and innovation and an ambition to take a lead in further developing a strong teaching culture at the University. The Birmingham Fellowship offer is unparalleled: a permanent academic post, five years of protected time to pursue teaching excellence within a supportive and ambitious academic environment, with individualised start-up, development and mentoring support. You will have evidence of extensive teaching achievement within your discipline, use of innovative approaches that impact on teaching performance and student achievement, and a commitment to the academic endeavour of the University. This initiative is just one of the ways in which we are investing in and developing our outstanding academic community to match our global ambition. This entry was posted in Jobs and tagged Birmingham, Fellow on March 31, 2014 by medievalartresearch. will be held again this year at the Centre for Byzantine, Ottoman and Modern Greek Studies in the University of Birmingham, UK. 10-24 August 2014: Level-2 (Intermediate), Level 2.5 (Higher Intermediate) and Level-3 (Advanced Reading Course). The fee is 470 GBP per two-week course, including 14 nights accommodation; or 250 GBP without accommodation. A limited number of bursaries is available. The deadline for applications which include application for a bursary is Monday 31 March 2014. The deadline for all other application is Monday 12 May 2014. This entry was posted in Funding and scholarships, Upcoming Events and tagged Birmingham, byzantine greek, summer school on March 18, 2014 by medievalartresearch. We are looking for an enthusiastic and dedicated Assistant Curator of Coins to join our busy curatorial team while the Curator of Coins is on study leave abroad (until autumn 2016). The post is supported by a close working relationship with the Centre for Byzantine, Ottoman and Modern Greek Studies at the University of Birmingham. You will manage the Barber Institute’s prestigious collection of Byzantine and medieval coins, seals and weights, and help promote awareness of, and access to it. This will involve managing the coin study room and library, leading object-handling sessions and collection research, developing the coin collections database, preparing coin displays and dealing with coin collection-related enquiries. To download the details and submit an electronic application online visit: www.hr.bham.ac.uk/jobsalternatively information can be obtained from 0121 415 9000. This entry was posted in Jobs and tagged Barber, Birmingham, Coins, Curator, Job on March 5, 2014 by medievalartresearch.